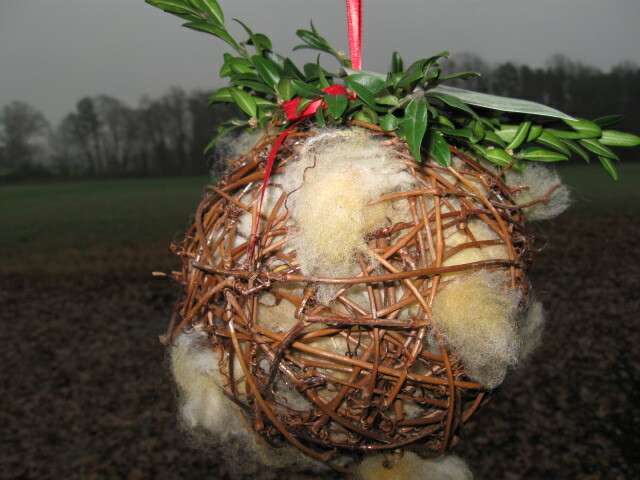 For those who did not win this giveaway..there are other places you can find our Natural Nesting Balls to purchase. http://www.breezehillfarm.com/ordering.aspx Also, in Richmond VA…The Great Big Greenhouse and Yardbirds. Hear we go! This is Gryffon (aka Scrap). 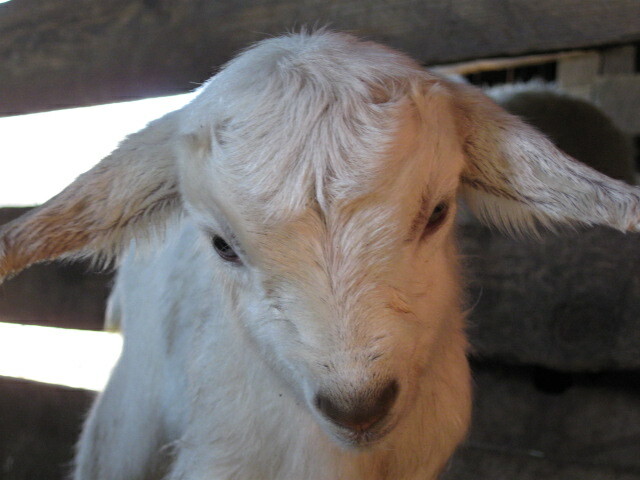 He is the little goat buckling born a week ago this past Sunday. Being a musical family here, we have decided that Scrap needs a song all his own. Once he has a song, we will add that song to a video of Scrap doing what little goaties do and create his own music video! His song can be any type of music..even Christmas music. It should be fitting of a little critter that at this point weighs about 8 pounds and has enough energy for 5 of him. So we need for you all to come up with a song. If we choose the song you come up with..you will win 2 of our new Natural Nesting Balls. See one for you and one to give as a gift! You must live in the US to enter this giveaway as we are covering the shipping as well. So go to the comments for this post and start listing the song you think will best work for Scrap. At days end tomorrow we will go through your suggestions and pick the song that we feel best fits Scrap. Please make sure I have some way to contact you to let you know that you are the winner. We will take care of the shipping details later. Scrap’s music video will air before Christmas! Feeling The Need For A Giveaway..and other stuff! This is just the perfect time of year to offer a giveaway, so I’m working on it as I write. It needs to be something exciting that lots of folks will participate in and the giveaway should be something that everyone would love to have times 2 so the other can be given as a gift! I will iron out the details today..so look for something tomorrow. Things are going very well at the farm. We are fielding orders for Nesting Balls and Dryer Balls hourly now and hope that everyone who receives them as Christmas gifts will love them as much as we do. Though they are very simple items a lot of work does go into their creation..starting with raising the animals. I have the best producers in the world out there in the field growing fiber so that I have the materials I need to create. Three cheers to the SHEEP and GOATS this morning!! Speaking of, I should get down to the barn and feed them. OK, that’s it for today. Be looking for the giveaway announcement tomorrow! Updates and Some Unmerciful Blog Sales Pitching!! It got pretty exciting around here this past weekend. 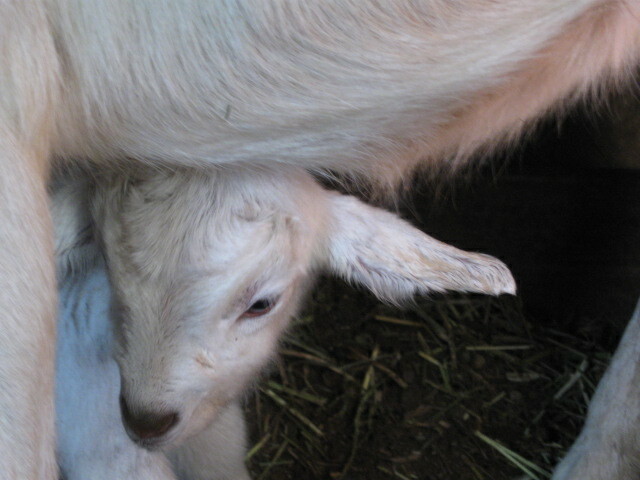 Not only was it the Thanksgiving Holiday weekend but we had an addition come into the world at the farm. Several months ago we purchased a bred LaMancha doe and her due date was in mid-September. Well mid-September came and went and no baby. We had to rearrange our world (where Goat Shares were concerned) and begin a quest for a freshened doe. Without going into a lot of uninteresting details..we didn’t find one. Then Sunday morning hubby went to the barn to check on everyone and feed. He came back to the house and announced that “Jojo” had kidded!! Obviously, the breeder had really messed up the breeding date and now we have a fresh doe and a beautiful little buckling. Don’t you just love a happy ending story? Is he too cute or what!! 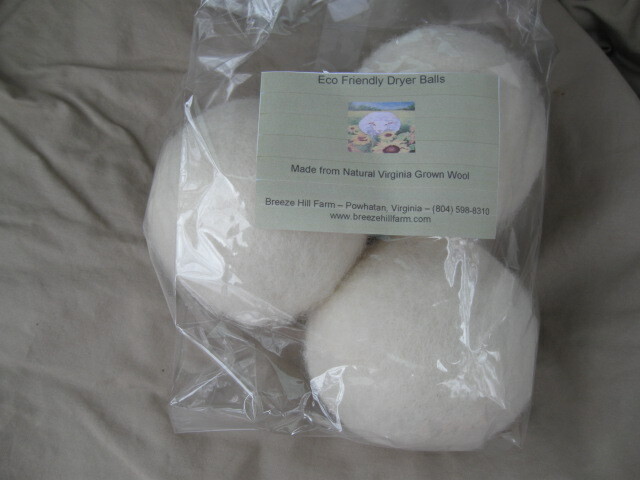 Many people have asked me where they can find our new natural Nesting Balls in the Richmond, VA area. These have taken on a life of their own and we love it. Right now the list is short but growing everyday. As everyone knows with Fall Line Farms Co-op..you can find them listed weekly on the Co-op. They are now available at Yardbirds in Gayton Crssing Shopping Center and starting this weekend at Primrose and Persimmons Antiques in Goochland Courthouse, VA. If you cannot make it to any of the events we will be at this Holiday season, these are a few places you can find them. Also, you can always contact us at breezehillfarm@verizon.net to order direct through us. OK, enough sales pitching for now.